Treading in Dangerous Waters – A New Trend; the Abuse of Designer Drugs Sold Legally as ‘Bath Salts’! Users in the know have been purchasing cocaine-like intoxicating ‘bath salts’ over the internet, in gas stations, truck stops and convenience stores for months. It’s all completely under the radar and since these substances are chemically distinct from cataloged drugs and sold for bathing - completely legal. While some bath salts are made to invigorate and cleanse the skin, new bath salts that come with names such as Ivory Wave, Blue Silk, White Lightening and Ocean Burst, won’t get you clean, but will get you high. The latest craze for teens, college kids and drug users is fake cocaine and fake meth that come in the packaging of a relaxing bath salt that retails for around $25 for a half gram bottle. Because the molecules in the ‘bath salts’ do not match any cataloged controlled substances and because the packages warn against human consumption the bath salts remain legal for sale (and use) in most states of the union. Users, however, bypass the bathtub with these salts – instead snorting or otherwise ingesting the drugs, shooting for a euphoric cocaine-like high. The potential risks include a raised pulse and blood pressure, irregular heart beats, confusion, delirium, paranoia, chest pain, hallucinations and headaches. So serious are the potential consequences of these party drugs that Greg L. Jones, M.D, a physician specializing in addictive medicine at Willingway Hospital in Georgia, warns that these boutique chemical substances which are being used for a quick high often result in a trip to the nearest hospital. According to the American Association of Poison Control Centers, more than 232 calls regarding bath salt abuse were reported in 2010. 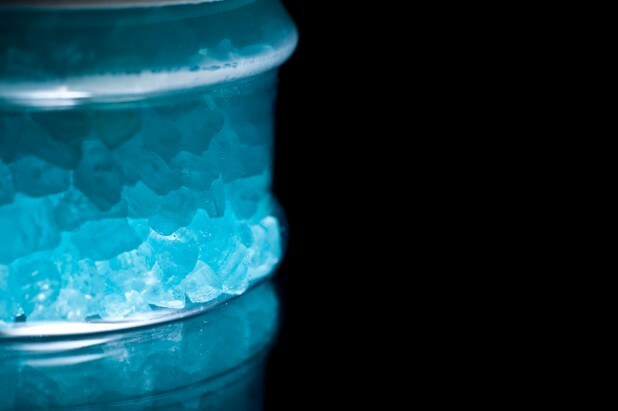 Two recent suicides in Florida are blamed on the ingestion of bath salts and E.R. rooms across the country report many cases of toxic ingestion. Louisiana’s Governor, Bobby Jindal, was the first to announce that the fake bath salts are now considered illegal narcotics under the state law of Louisiana. Investigators believe the powder comes from Asia and is packaged in the US.